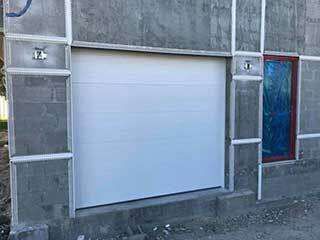 Selecting the right garage door for your home is a purchasing decision that could stand the test of time. When choosing the perfect door for you, it’s important to consider your expectations and ambitions, but most importantly spend that extra effort making the right choice. To help you make a well-informed decision, here are some important points to address on route to bringing a touch of class to your home. Ordering online is asking for trouble, because garage doors don’t have a ‘one size fits all’ aesthetic. Every garage is different, so requires individual care and attention to assess what’s necessary. By getting an ‘in-person’ quote, you’ll obtain details like shape, opening size, headroom, and other critical considerations on route to getting a tailor fitted door. The technician will help you make a decision that aligns with your individual requirements. Wooden doors are visually stunning, but it’s essential you know they require regular maintenance. This shouldn’t be a restrictive factor though, because regular works can be performed for little cost, with natural finishes applied periodically. If you’re willing to perform some sanding down every now and again, wooden doors are a fantastic option, providing you work with a professional too. There are alternative options which look remarkably similar to real wood, but are much easier to maintain if that suits your aspirations. Do You Have Suitable Insulation? If you want to retain heat in your garage, you need to consider whether you have the right insulation. It’s worth spending that bit extra on polyurethane insulation, since this will contribute to reduced energy bills, helping your garage stay warm. Find out what kind of insulation comes with your door of choice. In some cases you can choose to add insulation as well. Can I Fit My Own Door? Use a professional to install your garage door, because DIY projects are risky at the best of times. There’s so much consider, a professional can leverage their years of knowledge and expertise to ensure a sturdy door is fitted, using the right tools and parts to get the job done quickly and efficiently. Hopefully you have gained inspiration from this article, on route to selecting the perfect garage door. If you have any questions, feel free to contact our experts online or give us a call at any time!